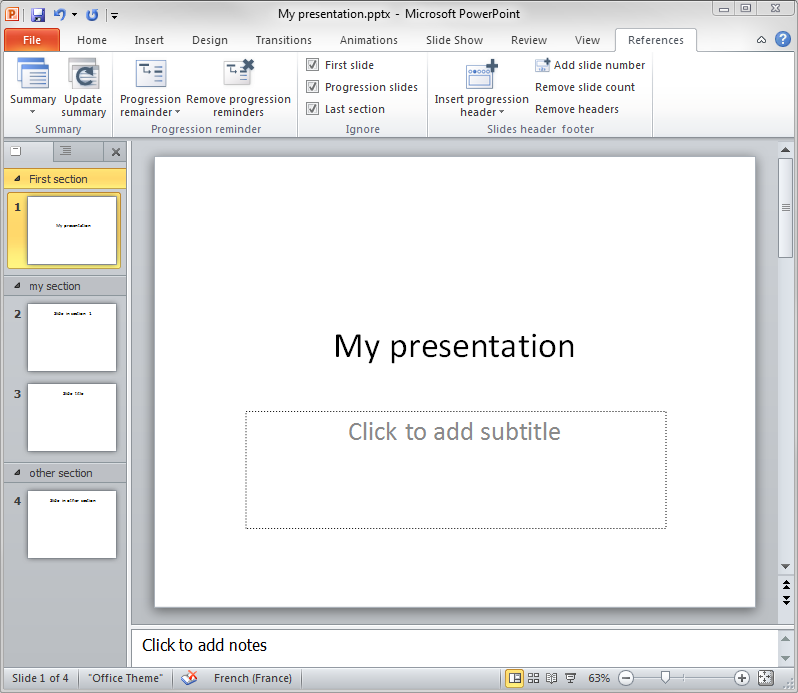 The first step in order to use AutoSummary is to add sections into your PowerPoint 2010 presentation. 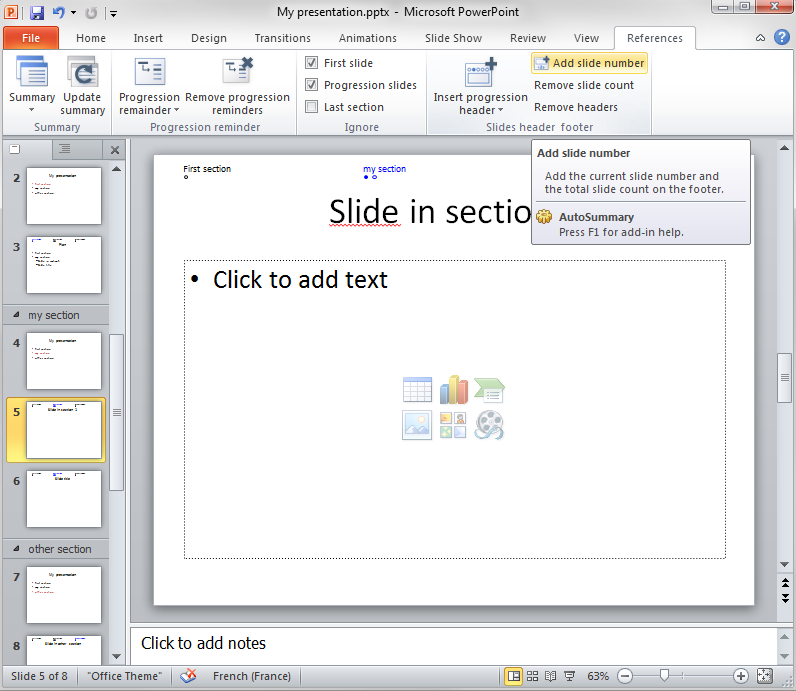 To do so, just right-click into your slide list and click on "Add section". You can rename the name of the section by right-clicking on it and then click on "Rename Section". 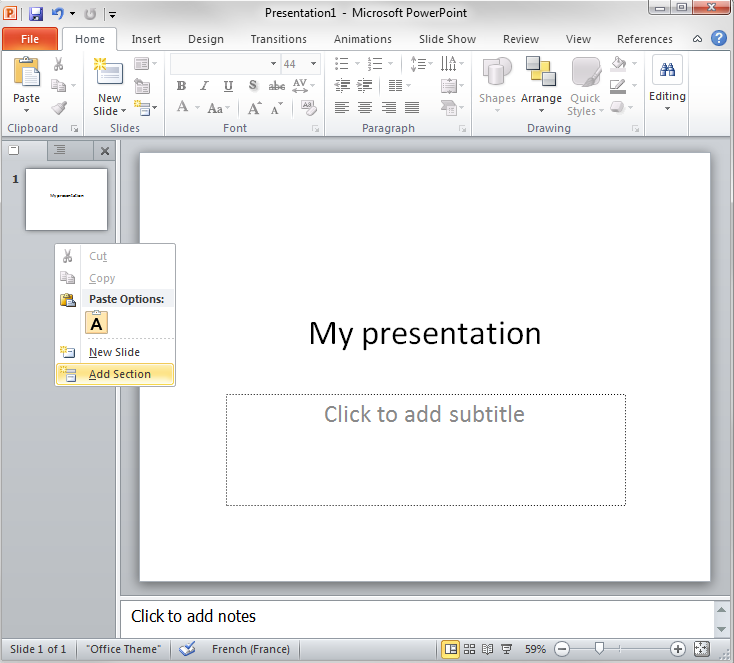 When your presentation has enough content, you can try to add a summary by going to the "References" tab in the powerpoint interface. Click on the "Summary" menu and choose your favorite summary. 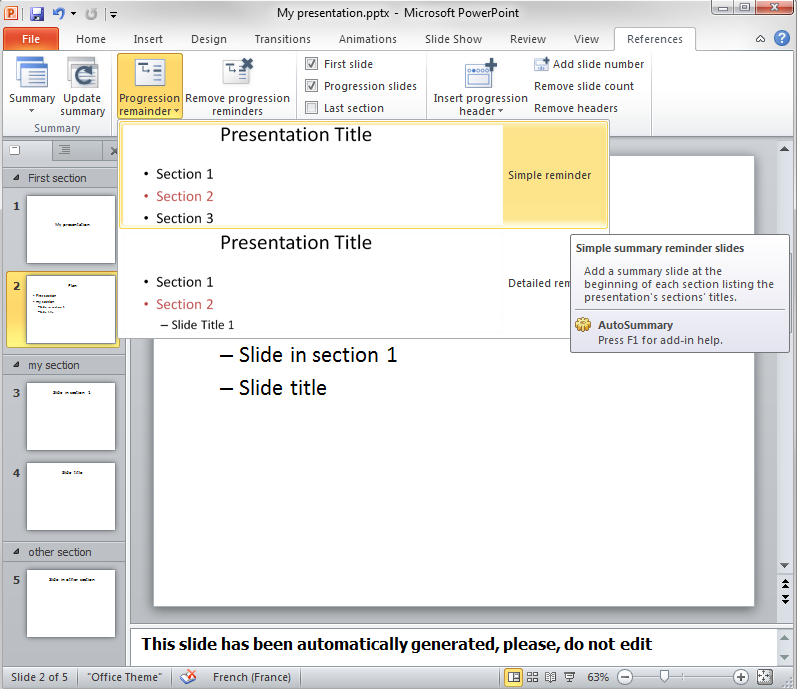 A new slide containing the summary will the be automatically generated. As you can see we have chosen the summary with complex information, but some presentation part are missing. 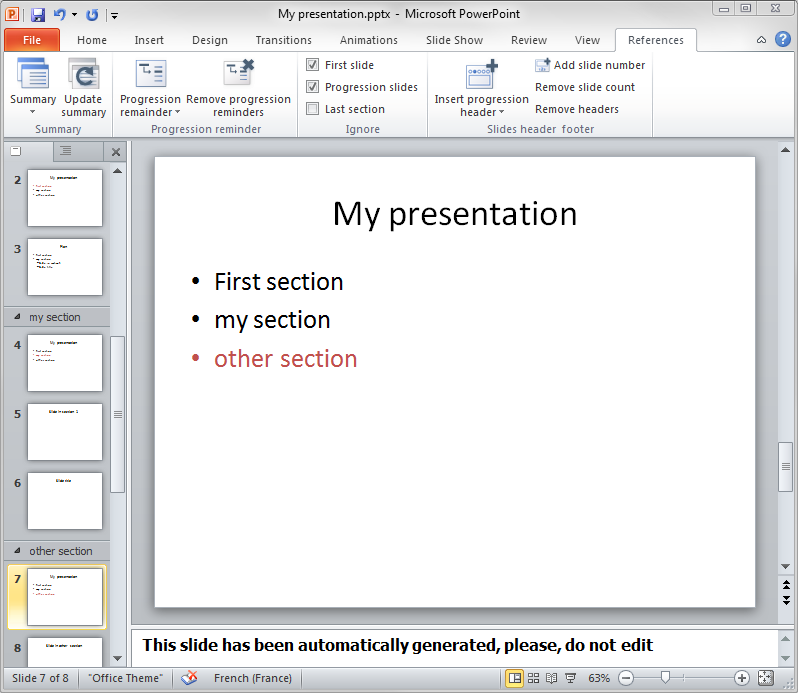 The first slide is not listed and neither is the last section. The reason is that they are ignored, as shown by the check-box in the ignore section. The ignore section is really useful, all the slides generated by AutoSummary respect them. If you want to add an annex section in your presentation, just ignore last section to hide it your audience. You may not want the title slide to be included in your summary, in this case, just check "First Slide"
In order to understand why we may want to ignore progression slides, let's create some. 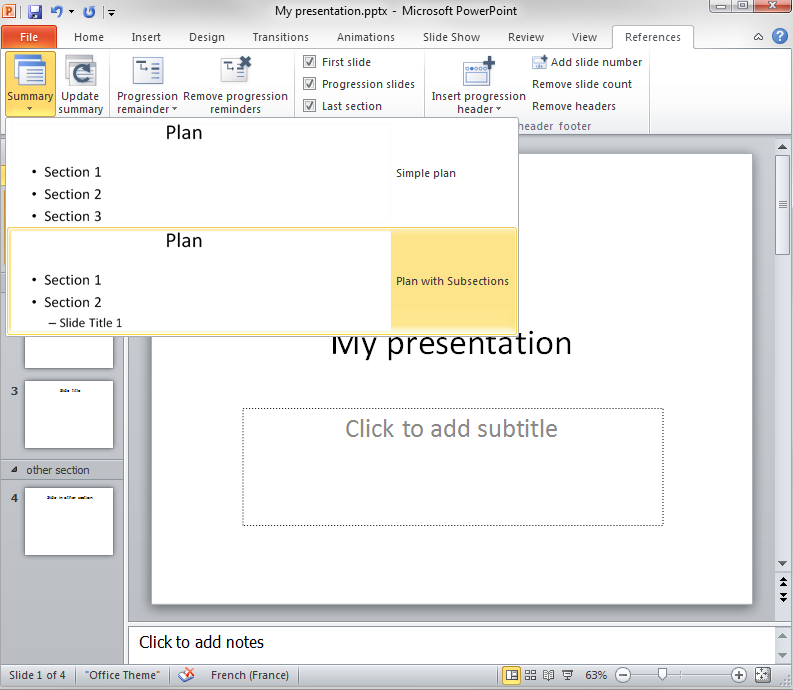 Click in the Progression remainder menu and choose one of displayed presentation. As you can see at the beginning of each section, a summary of the presentation has been included. You can notice the highlight on the name of the current section. Even the last section got a summary, because the last section is not ignored this time (the check-box is not checked). If you don't like the progression slides, you can remove all of them by clicking on the "Remove progression reminders" button. Let's add some constant progression reminder for your audience. To do so, click on "Insert progression header" and choose your favorite shape. Here is your final result. 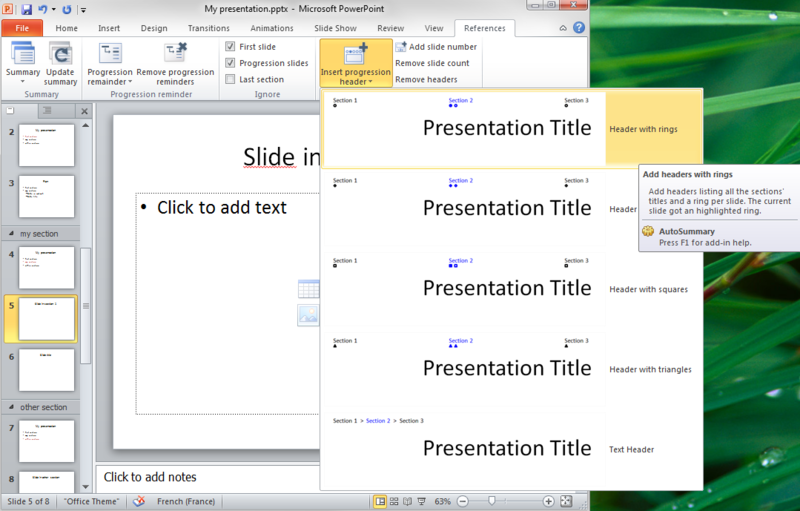 You should add progression headers at the last moment, after the application of some Powerpoint's themes. 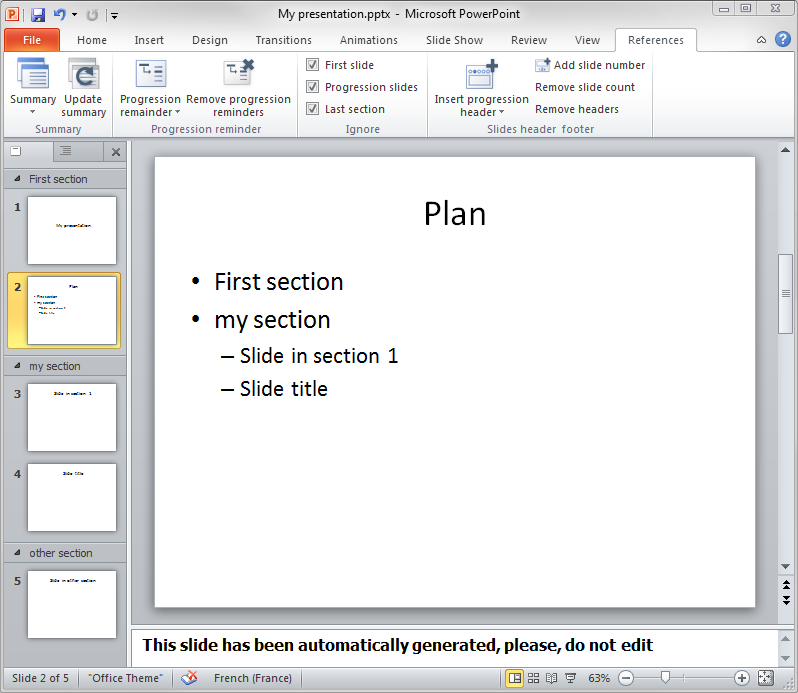 The result will be better as some themes tend to move slides' elements.